A leading Chinese consumer rights lawyer is calling for stricter penalties for online platforms that are "backstabbing" loyal customers with the help of big data. The call comes as the China Consumers Association again warned consumers of such behavior during the spending spree of the Spring Festival holiday, which ended on Sunday. The association, among its suggestions for the festival, advised consumers to take note of this phenomenon, which first came to light in March 2018, according to news site cnr.cn. For instance, a long-time customer of a movie-ticket platform may buy a ticket at a higher price than a newcomer, in defiance of the longstanding business logic that loyal customers should get a better deal. Big data, which has garnered a deep understanding of consumer behavior, has enabled platforms to adopt such pricing tactics which take advantage of loyal consumers, who make a beeline to an online vendor instead of comparison shopping. 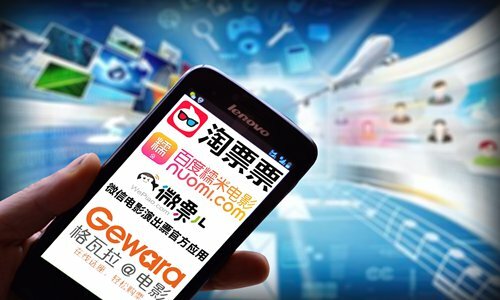 "The problem with big data backstabbing is that it is very hard to collect solid evidence due to the real-time nature of internet shopping," Qiu Baochang, director of the Beijing Society of E-Commerce Law, told the Global Times. Regulators should crack down harder on such activity, Qiu said. The State Administration for Market Regulation is considering a system of punitive damages for market disorder in the food and drug business as a deterrent. Qiu said Big Data backstabbing should be punished the same way.